Home Buying Guides Best laptops for everyday use : Check our top 5 picks! Best laptops for everyday use : Check our top 5 picks! The last quarter of the year is one of the best times to shop for a new laptop, but with deals everywhere and new models coming out every year; the truth is buying a new laptop is always a hefty investment. And even if you don’t have specific needs or if you are simply looking for a decent laptop for everyday use, there are still a few things to consider. Specs: This is what will determine how “powerful” your laptop will be. The processor and RAM are the top things you should be paying attention to when getting a new laptop. The processor is the brain of any computer system, and it’s something that you can’t upgrade on most laptops. Also, the more RAM a laptop has, the better it will handle multitasking. For a laptop for everyday use, we recommend getting at least a laptop with an Intel I3 processor or an i5 if it is in your budget, and a minimum of 8GB of RAM. Also, unless you’re really on a tight budget or simply need a basic laptop, stay away from the cheaper Intel Pentium based ones, as they can be horrendously slow even doing basic tasks. Storage: With the exception of the processor, the component which has the most impact on your laptop’s performance is its storage drive. A laptop with an Solid State Drive (SSD) will not only boot significantly faster than a laptop with a traditional hard drive, but it will also be more responsive and faster when launching programs and copying files. Laptops with SSDs are of course more expensive and have a smaller storage capacity, but they have become relatively affordable compared to a few years ago. Some cheaper laptops come with 32GB, 64GB or even 128GB eMMC SSDs, and these are to be avoided unless you need a laptop for very basic tasks. eMMC is slower and cheaper than a traditional SSD, and even than some traditional hard drives. Screen size and quality: The screen is what you will be looking at whenever you use your laptop. The screen size is a matter of personal preference, but it will also determine how portable your laptop can be. Most travel friendly laptops come with 13,3 or 14 inch screens to reduce power consumption, but if you mainly going to be using your laptop at home or in the office, you may go for a bigger and usually more powerful 15 inch model. The screen type is also important: There are mainly two types of displays: IPS and TN. IPS screens provide better colors and viewing angles, while TN based screens are cheaper and better for gaming performance. The design: This is also a matter of personal preference, but it’s something that shouldn’t be overlooked. A 2 in 1 convertible can also be a very good choice you need a multimedia device for fun, while still having the option to do some work. Ports: Ports will determine how you laptop will connect to other devices such as an external monitor, and while all laptops come with a number of usb ports, we’ve seen newer models that don’t have an Ethernet port or an HDMI ports (especially on higher end ultrabooks). USB type C is also a newer type of ports you’d want your next laptop to have. The idea behind USB–C is a simple one. You have one cable, one connector, and through them you connect everything you need. Keyboard and touchpad: Unless you do a lot of word processing, not many people pay enough attention to the keyboard’s usability when buying a new laptop. Not all laptop keyboards are created equal, and some are more comfortable than others. And while it can be hard guessing how comfortable a laptop’s keyboard is from reading the specs sheet, you can still check the reviews, see if it comes with a separate numeric keypad, has backlit keys…etc. Battery life: Actually, battery life should be your top factor if you are mainly looking for mobility or a travel friendly laptop. However, if you don’t need productivity on the go, you shouldn’t be too concerned about battery life. Now, let’s have a look at some of the best laptops for everyday use on the market right now. 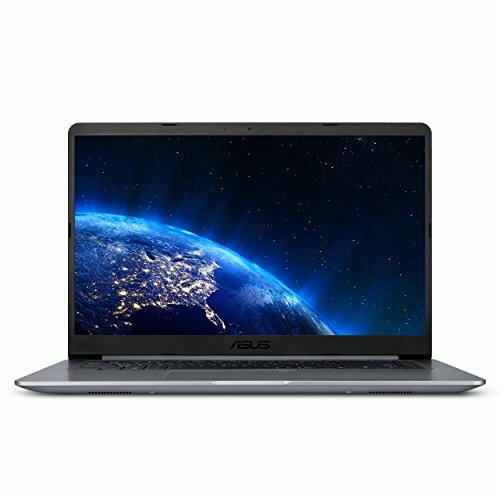 The Asus VivoBook F510UA packs an 8th Generation Intel Core i5-8250U processor, 8GB of RAM, and a 1TB hard drive. The i5 8250U is a quad core CPU that not only can easily handle all of your daily computing tasks, but also tackle more demanding ones such as photo or video editing. And in case you need more power, the VivoBook F510UA also offers free RAM slots and a free M2 SATA slot. Although a version with a 128GB SSD drive exists, we recommend buying and adding your own M2 SATA drive: Not only is it cheaper, but you can get a higher capacity SSD drive. The Vivobook F510UA also comes in slim metal looking body, that makes you question if it’s really a budget laptop. And despite the fact that it’s a 15 inch laptop, its actual footprint is comparable to a 14 inch device. Asus achieved this by reducing the bezels around the screen. The Vivobook F510 is thinner and lighter than most of its competitors. The IPS display on the F510UA has a Full HD resolution, and comes with a matte finish. Color accuracy is good, contrasts are deep, and viewing angles are simply generous considering the price tag. 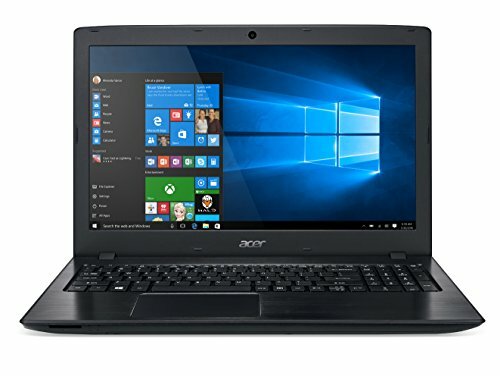 Acer Aspire E 15 E5-576G-5762 : Still the best budget laptop in 2018 ! We simply can’t make a top list without including the Acer Aspire E 15 E5-576G-5762. 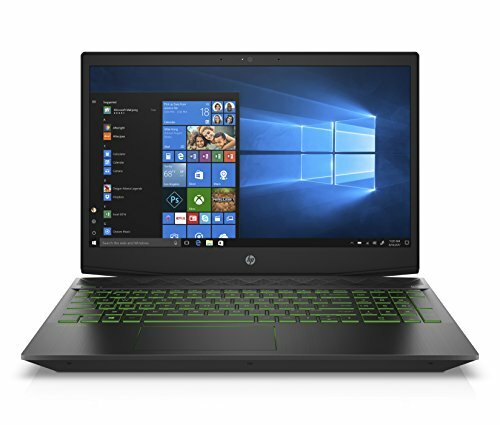 On a budget, or simply don’t which laptop to choose? You cannot go wrong with the Acer Aspire E15 E5-576G-5762. The E15 is one of the few sub 600$ that can cater to any needs. 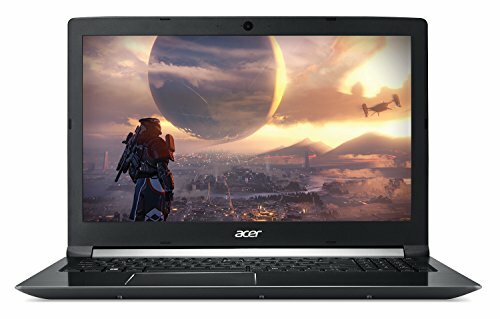 This laptop offers a great bang for the bucks; it comes with an 8th generation I5 processor, 8GB of RAM, a 256GB solid state drive and a dedicated GeForce MX150, which is an entry level graphics card. The E15 is the perfect example of an all purpose laptop for everyday use, that can also show some power when needed. And in case you need to add more RAM or storage space, the E15 is one of the few laptops that offer decent upgradability: you can add a second hard drive (Acer also provides a kit for that), and you can upgrade the RAM up to 32GB. Battery life is another big selling factor for the E15. And while Acer claims it can last up to 15 hours, you can expect an average of 8 hours in real world use. Which is excellent at this price range! The Aspire E15 also comes in version with the i7-8550U; however, going for the i7 processor won’t give you a noticeable performance boost. You’d be better off spending those extra 200$ on adding more RAM or a second SSD. The Acer Aspire 7 A715-72G-71CT is a powerful business looking laptop that is well worth its price. It comes with a powerful 8th generation 6 core i7-8750H, 8GB of RAM, a dual 128GB SSD + 1TB HDD, and a dedicated NVIDIA GeForce GTX 1050Ti with 4GB of video memory. This laptop is perfect for those who need a powerful desktop replacement that not only can used for everyday productivity tasks, but also heavier ones such as gaming or video editing. If you’re into gaming, you may find cheaper 1050Ti options out there, but very few come in a business looking chassis like the Aspire 7. Speaking of the chassis; it is made of plastic and aluminum, the build quality feels very solid overall. There is also a good amount of USB ports, including a USB type C.
The screen on the Aspire 7 is also very good, and even if it’s not the brightest screen out there, the colors and contrasts are excellent thanks to the IPS panel. The Dell Inspiron 15 5000 is a mid-priced laptop that offers great value for the money. This laptop comes with an 8th gen Intel core i5 8250U processor. 8GB of RAM and a 1TB hard drive. This means that the Inspiron 15 5000 is capable of handling all your office tasks with no lag. The Dell 15 comes in a premium professional looking case, and it’s really hard to tell that it’s actually hard plastic. The build quality is very good, and the laptop definitely feels more expensive than it actual price. The Inspiron 15 also sports a 15,6 inch Full HD touch screen, that has IPS technology and produces sharp and crisp images. The newly refreshed HP Pavilion 15-cx0020nr packs a lot of power, an 8th Gen Intel i5-8300H processor, 8GB of RAM, a 1TB hard drive, and of course a dedicated NVIDIA GTX 1050Ti graphics card. The Pavilion 15-cx0020nr is one of your best options if you’re looking for an affordable gaming laptop under 800$. This laptop can play relatively demanding games at medium settings. The build quality is very good, and the black and green colors mix gives the Pavilion 15 a very bold look. This laptop also sports a Full HD IPS screen which produces excellent images, the anti glare finish also helps in everyday use. Another amazing fact about the Pavilion 15-cx0020nr is that it’s one of the few gaming laptops out there that can still offer a very good battery life when you’re not gaming, with real world usage around 8 hours. Next articleBest laptops for basic use: Recommended top 5 basic laptops!